Sometime I have to just start over. I get off track, I lose focus and I don’t always stick to the goals I have planned. I have to constantly remind myself of the beginning whenever I’m trying to live healthy and eat healthy. I must focus on the genesis, that initial starting point. I start to remind myself of the commitment made, the desire to do better and take care of this temple God gave me. I remind myself of the promises of God. When we start to feel alone or stagnant we can always start over. God is with us and for us. I love how the Bible shows us that living on pitch is not a solo act. 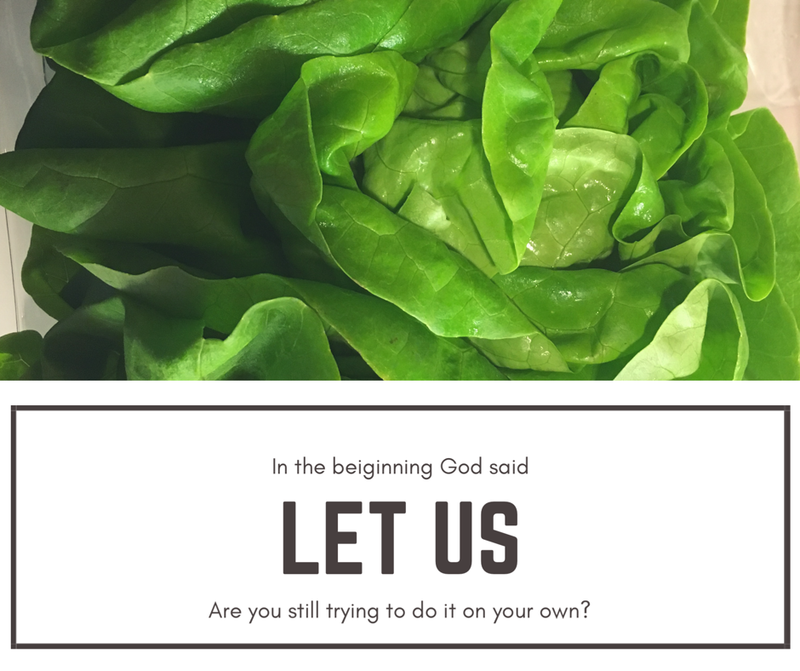 In reading Genesis, two words stood out in chapter 1 verse 26 then God said, “let us”. We need God, the Creator and Lord of all. He doesn’t need us. It starts with God and a “let us” mentality. Do you have a new beginnings prayer? Here’s mine: Dear Lord I need You and I am totally relying on your help. I don’t want to do anything without you. Help us stay in tune and focused, let us start over, let us make the right choices to reach our goals and let us desire to please you. Amen. Yes! Amen 👍🏾😊❤️ Let us! Next Next post: Do You Know Who Are You Talking To?